The videolight NanGuang Mixpad 41 combines unique faetures with a compact size. 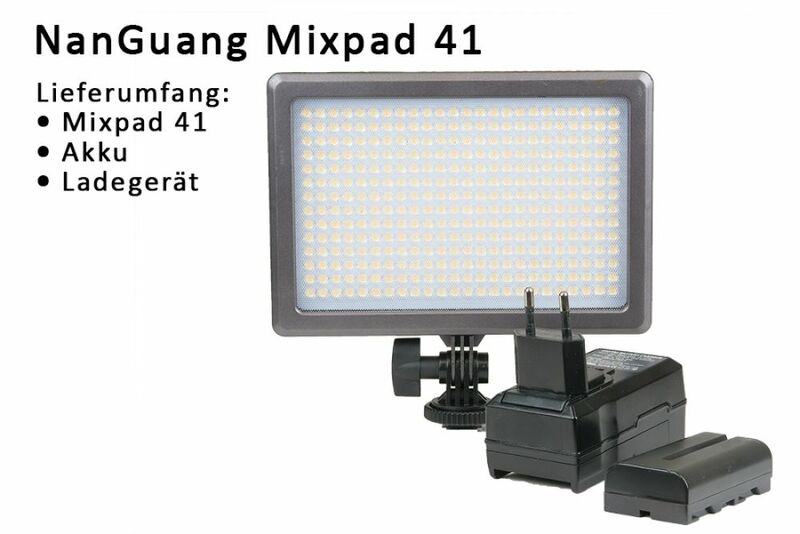 It is capable of dual-color (3200K-5600K) and the color could be changed in steps of 100K. The luminous intensity could be changed stepless from 1% to 100% , wicht means from 2,1 lux to 780 lux (1m). It has a very good color rendering index of 95. 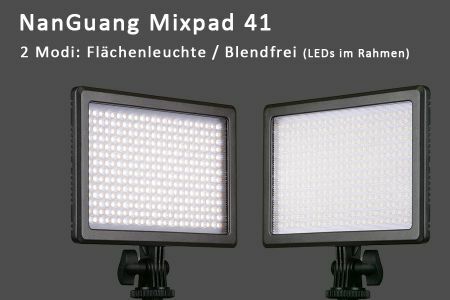 The most unique feature is a dazzle free mode, where 105 LEDs in the frame produce a complete indirect light. The scope of delivery includes an akku and a recharger. 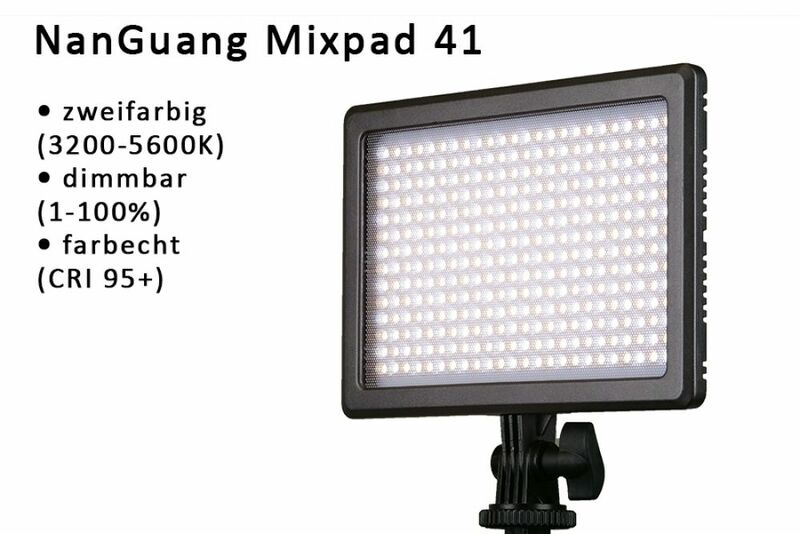 The high CRI combined with the dimmable, bi-colored, dazzlefree mode makes the NanGunag Mixpad 41 a perfect choice for macro-photographers. A testreport can be found in Traumflieger MAKROWELT Ausgabe Nr.7. This Product was added to our catalogue on Wednesday 10 October, 2018.